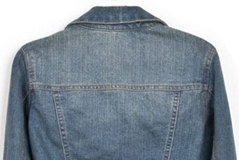 You saw a ladies’ denim jacket you like on bidorbuy, but worry that it might be too casual? Worn correctly, a denim jacket will add a fun element to your wardrobe without compromising on stylishness. I have put together six different outfits that illustrate my point. You are guaranteed to fall in love with at least one of them! 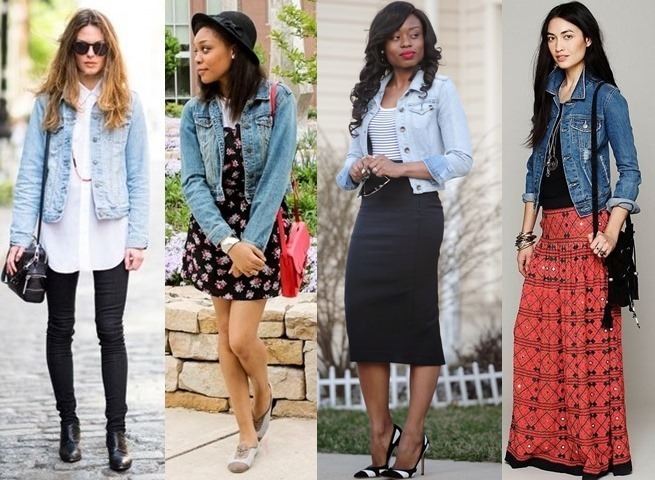 You cannot go wrong with a denim jacket over a flowing knee-length (or shorter) dress. Choose a dress with an interesting print, such as floral. Is that how you feel? A denim jacket worn over a monochrome top and a short flared skirt will send the right message. All the better if the skirt is in leopard print! Pair your denim jacket with a vintage full skirt and elegant shoes… and you get a surprisingly elegant ensemble. If the skirt is multicoloured, choose a solid colour top. Everyone will know that you mean business when you make your entrance in a pencil skirt coupled with your favourite denim jacket. Don a maxi skirt and a denim jacket when you just want to glide through your day in a laid back, no-problem, no-hurry manner. It’s all about being able to make long strides, and a denim jacket goes great with leggings or tight pants and a long shirt. Fashion trends have a brief shelf life. However, denim jacket is an exception to this rule. With a good reason, for there are so many different ways to wear it! The only thing I don’t recommend is wearing a denim jacket with denim pants (or skirt) in the same (or similar) shade of blue. If you have to go double-denim, be sure to pair pieces of varying washes, for example a light denim jacket with dark denim jeans. It is also important to always bear in mind this wise saying of one style guru: “When it comes to looking good, it’s not your size or shape that matters, but the fit of your clothes”. In other words, always check yourself in a full length mirror before leaving your house! All items of clothing used to illustrate each look were avaiable on bidorbuy at the time of publication.